Hudson River SkyWalk to connect Thomas Cole National Historic Site to Olana. 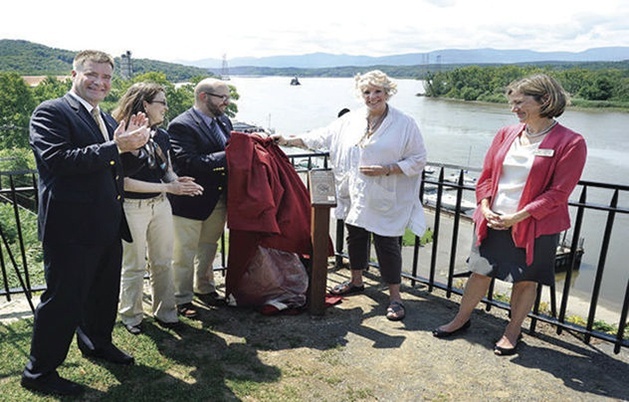 Home › News & Press › Hudson River SkyWalk to connect Thomas Cole National Historic Site to Olana. A walkway could connect Olana State Historic Site and the Thomas Cole National Historic Site in the future. Members of the Greene County Legislature’s Economic Development and Tourism Committee authorized a budget for the proposed Hudson River SkyWalk at its May 16, 2016 meeting. The department had been awarded the grant on Dec.10 from the NYS Regional Economic Development Councils Consolidated Funding Application. In 2011, the application process was launched by Gov. Andrew Cuomo along with the Regional Economic Development Councils to give different parts of the state an opportunity to gain more money for economic development and job creation. “The walkway would create a physical connection between Olana and the Cole Site, major renovations with the bridge are expected to occur,” said Warren Hart, the department’s director. Along with the county, Hart said the Cole House, Olana, Scenic Hudson, the state Bridge Authority and the village of Catskill have been actively involved in the project’s planning process. The project, named Hudson River SkyWalk: Gateways Connecting Art History and Landscape, will allow for the design and construction of pedestrian improvements for the Rip Van Winkle Bridge. If the project goes through it will “provide visual access to the Hudson River and strengthen the connection with Olana, the village’s historic downtown and waterfront and the Cole House,” Hart said. Money has been set aside by the Bridge Authority in its budget to make more pedestrian safety improvements to the existing walkway on the bridge. Hart said the grant money will fund a feasibility study and construction drawings for the potential walkway. While the grant will pay for the planning and design of the skywalk, a market study and economic impact analysis will be done to determine any potential revenue gains. Hart said an additional consolidated funding application will be filed to add more money for additional parts of the project. Signage giving historical information will be placed along the walkway so visitors can learn about the area and the various historic sites.